I will always be with the DREAMS project and Cecily’s fund in my heart even after the project ends. I will remember you for the rest of my life when I look at my successful daughter that you helped me educate and the flourishing businesses you helped me establish and grow. In Zambia, for a child to educated beyond grade 8 requires the payment of costly school fees. That's why Cecily's Fund is committed to expanding the incomes of Zambian families - so that they can afford to secure for their children the better life that education can make possible. Felistus lives near Chingola, with her husband and children. Like over half of Zambians, the family's income is based on agriculture. Her village has ideal conditions for growing maize, and Felistus believed that by working hard she could provide education and a better life for her daughter, Linda. However, it proved difficult to secure the finance needed to grow the farm business. It seemed that Linda might end up marrying early, like other girls in the village. A new chance came when Linda was chosen to be supported by Cecily's Fund through our DREAMS Innovation Challenge project. She is one of 900 girls in the Chingola area being kept in school with our help. In addition to providing school fees, the project has also transformed the future of Felistus' business. 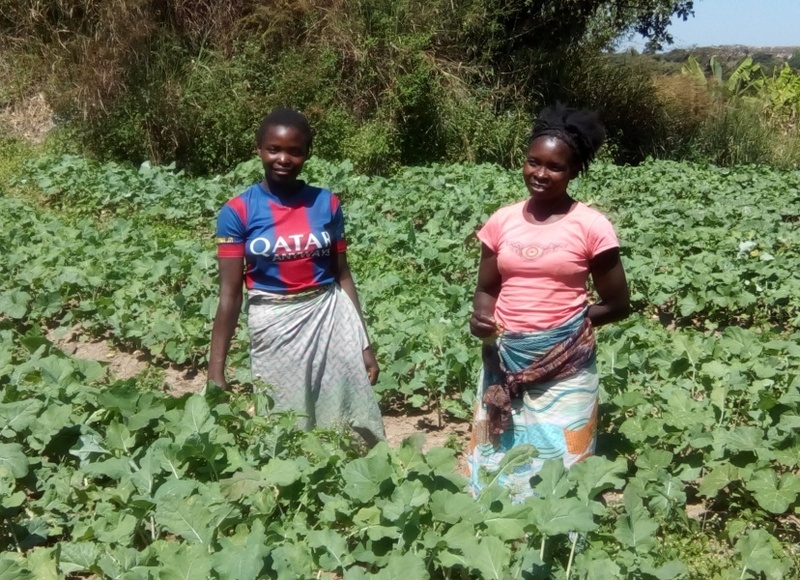 By joining the GROW savings group set up by the project, she has borrowed the money she needs for improvements to her farm - finance she would not have been able to access before. Felistus has also received financial literacy training, helping her to plan effectively for the future. She has even been elected Chair of a second savings group. Now, Felistus and the other villagers have a clear vision for the future. By working in solidarity through the savings groups, they can grow their businesses and incomes so that their children can be educated and look forward to a brighter future. In this way, a targeted and sustainable investment of funds through the DREAMS project has begun to transform Felistus’ community. The DREAMS Innovations Challenge is an $85 million HIV prevention initiative led by PEPFAR, Janssen Pharmaceutica NV (a Johnson & Johnson company), and ViiV Healthcare. The initiative aims to accelerate progress toward achieving a 40 percent reduction in new HIV infections among adolescent girls and young women in the highest-burden areas of 10 sub-Saharan African countries.